How do you present your photographs to your clients? Do you hand them a CD – or do you present their images in an album or photo book? Digital technology has made album and book options available in a variety of formats. Take a look at these 10 publishing and printing solutions, and give your clients more options than ever. From yearbooks, to prom books, to sports books and posters, to wedding books, you’ll have a full array of options through Walter’s Publishing to help you reach out to your clients. Mpix gives you a variety of options, from online album and sales, to photo books and greeting cards. Mpix is an online division of Miller’s Professional Imaging, and has the resources to help you with all your printing needs. Black River Imaging offers a variety of album options. Check out their Mosaic albums, with color options to match any ideas you or your clients may have. Take a look at Renaissance’s new SOHO albums. Designed to offer panoramic spreads throughout the entire album, they are perfect choices for your coffee table albums. Looking for a complete album company to help you with all of your album needs? Check out Albums Inc – now carrying Zookbinders albums too. One of your best choices for albums, Zookbinders offers you a ton of sizes and options for your designs. Looking for a true hardback book with dust cover and all? Check out Vision Art Book. AsukaBook gives you many options, including their NeoClassic and Zen book, with lay flat pages. Neil Enterprises has some great options for giving your clients a CD or DVD. With leather bound cases, multiple images on the cover and/or inside, these are great additions to go along with your album sales. Bay Photo has a wide variety of album options in many sizes, shapes and colors. Check out their Bay Boxes to put loose prints in. With the push to hand over digital media to clients becoming common practice there is a huge need for quality packaging for DVD cases. 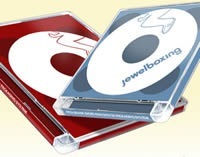 Create Professional-Grade DVD and CD Packages with the Jewelboxing System. Check out this site that has professional designers who were unsatisfied with the materials available for packaging our DVDs and CDs. They created Jewelboxing to allow individuals to produce a short-run of high-end packages and to give them the freedom to concentrate on the most important part of the job, the creative. Selecting the Super Jewel Box™ King and Standard cases, created complementary components of the highest quality and made precise design templates for virtually all major design and publishing software programs. Are you overwhelmed with the complexities of Adobe Photoshop? We have found some sites that offer simple photo editor solutions to your digital image needs. Picnik – Allow you to upload images from your computer with a simple interface. Edit functions include Auto-fix, Rotate, Crop, Resize, Exposure, Colors, Sharpen and even Red-Eye. Dozens and dozens of fonts, shapes, frames, all the effects and the touch-up tools are yours. Plus, all the Edit tools, the ability to undo everything you’ve ever done to your picture, and it remembers the history of the past five pictures you worked on! Free version available which includes ads or pay a nominal fee of $24.95 to upgrade to the premium and remove the ads. Premium: All that and then some! You get ALL the effects, frames, fonts, shapes, plus NEW advanced editing tools Curves and Levels, which have all the power found in expensive software packages but with one-click defaults and the added shine that all things Picni k have. You also get Priority Help Support, new feature previews, professional FontShop fonts and other exclusive content, the ability to access all your favorite photo sites at the same time to use Picnik to transfer photos between them, unlimited Photo History, a completely ad-free experience, AND the warm fuzzies of knowing you helped support a little photo-editor startup!